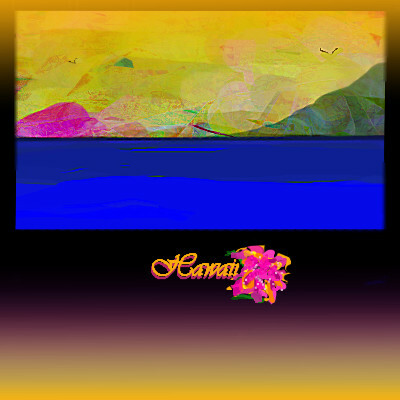 2draw.net - boards - Beginner - Mahalo, Hawaii! how did you do the top portion of this? I really like that part. That's my favorite part, too, Lori! If we could 'crop' our draws, I would have cropped this one. It's very hard to explain. I did a sort of tutorial on it one time. I started this draw using only 3 colors, Red, blue and white. I was going to do a Memorial Day tribute type of draw. Then, after playin with those 3 colors awhile in different shape lines and directions, then I used the difference tool, still using the 3 colors. Then, I lessen the opacity and click on Blend w/the difference tool and that starts making more and more lines of different colors. I kind of play around like this until I begin to like the 'paint brush full of paint that I've created on the palette.